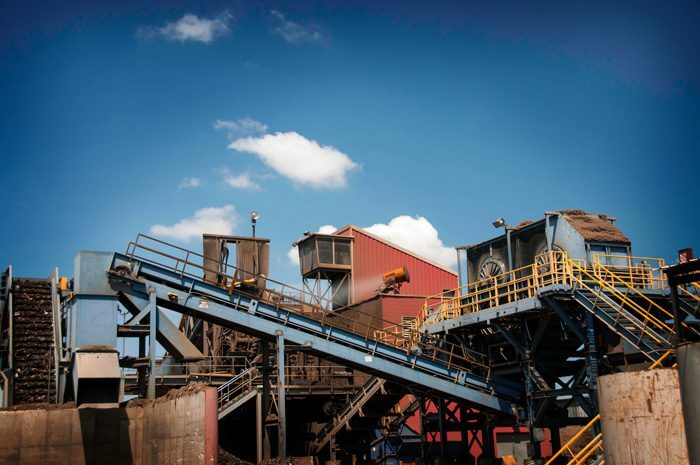 An innovative Midwest metal recycler is knocking down shredder dust with a misting dust suppression system, helping operators to maintain production levels while protecting workers and the local environment from nuisance dust. Mounted in a rooftop location for better aiming, the powerful atomized misting unit delivers millions of droplets sized specifically for optimum particle attraction, supplementing the built-in water injection system in the firm’s hammer mill shredder. Remote control facilitates easy operation from the shredder cab, allowing the company to start, stop and oscillate the machine without physical contact. Springfield Iron and Metal is a privately owned scrap recycler that has been in business since 2008, processing both ferrous and non-ferrous scrap. The facility accepts aluminum, steel, copper, brass, alloys, iron and stainless steel in the form of aluminum cans, appliances, radiators, junk vehicles, construction steel and siding from businesses and consumers. The company runs an American Pulverizer 80x104, a 4,000 HP machine capable of shredding 80+ tons per hour. The unit features integrated water injectors to control dust and prevent explosion hazards, as well as a closed-loop conveyor system to mitigate dust when materials go through the separator. 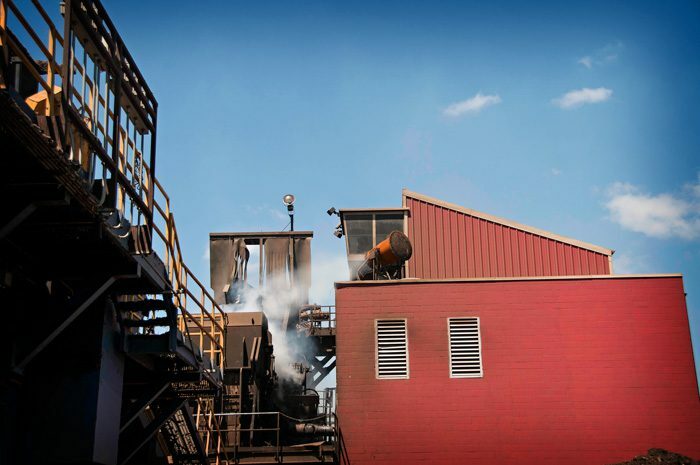 As part of its operating philosophy, Springfield Iron has fostered a commitment to environmental stewardship and employee safety, and company officials saw dust management as an integral part of that overall effort. “We wanted to incorporate the most effective suppression technology we could find to supplement our existing dust management techniques." “We wanted to incorporate the most effective suppression technology we could find to supplement our existing dust management techniques,” said CFO David Braun. “When we had a chance to see the DustBoss at another Midwest metal recycler, we felt like we’d found the right equipment,” he said. The company specified a DustBoss® 45 (DB-45), the mid-sized unit in a family of atomized misting dust suppression equipment designed specifically for dust control. Positioned over the shredder to trap airborne particles at the transfer point, the DB-45 helps suppress dust without over-saturating the shredded material. “We experimented with a few different locations until we found the optimum spot,” said Plant Manager Burl Williams. “We now have it located on a rooftop approximately 50 feet off the ground and about 40 feet from the shredder,” he said. To get the right dust control solution, all of the dust suppression equipment components have to be designed to work together for optimum flow and distribution, with the right nozzles, spray angle, fan speed, and delivery pressure to achieve the droplet size and velocity needed for dust management. Featuring a throw of 45 meters (147 feet), the DB-45 can deliver a dust barrier that covers more than 70,000 square feet (approx. 6,503 square meters) when equipped with optional 359° oscillation. With its 15 HP (11.2 Kw) fan, the DB-45 generates 18,000 CFM (510 CMM) of air flow to maximize droplet distribution and particle capture. Like the more powerful DB-60, the design comes standard with adjustable elevation from 0-50°. Develop a dust control plan to manage airborne dust at the automotive shredding facility, enhancing worker safety and honoring the company’s commitment to environmental stewardship by preventing nuisance dust from escaping to the surrounding community. Mounted DustBoss® 45 (DB-45) in a rooftop location directly over the company’s American Pulverizer shredder, supplementing the unit’s built-in water injection system. The mid-sized DB-45, positioned over the shredder at the transfer point, helps control dust without over-saturating the shredded material. Facility able to maintain excellent control of airborne particles, drastically reducing nuisance dust, protecting workers and the local environment. This entry was posted in DB-45, DustBoss, News, Recycling / Scrap, Shredder, Stockpile. Bookmark the permalink. Both comments and trackbacks are currently closed.